ALL WELCOME to come join the Cygnet Community Arts Council THIS SUNDAY May 1st from 2pm at Balfour House, 22 Mary Street Cygnet. On Sunday May 1st from 2pm the Cygnet Community Arts Council (CCAC) will be holding it’s inaugural planning session for the Cygnet Lantern Parade at Balfour House. All are warmly welcomed to attend and to bring your ideas and energy. Balfour House can be found at 22 Mary Street on the main street of Cygnet. It’s a great time to join the CCAC as a member and become more involved in the Cygnet Lantern Parade, and in your community. This year’s Cygnet Lantern Parade has been announced and will be held on the Saturday evening of June 25th with the theme of water. Picture aquatic creatures and features. The Lantern Parade is an important part of our annual calendar in Cygnet, it is a celebration for the community and by the community and it is an event where we can all be makers and participants. Every year, we need people like you to get involved to make sure we have enough volunteers (and lanterns!) to host an extraordinary event. Some volunteer roles include marshalling, bonfire making, food stand helpers and first aiders. Time commitments vary, but will be minimal. We are also hoping to connect with people interested in creatively contributing to the parade. Perhaps you would like to bring a dance piece to the lantern parade? Would like to fire twirl? Would like to deliver a short, spoken word performance? Would like to create a life-sized piece of puppet theatre? Watery themes encouraged. The CCAC create and support all sorts of other events during the year and encourage you to come along on Sunday even if the lantern parade is not your thing. The Happiness Project is an ongoing positive mental health promotion and literacy project that began in 2010. Artists, educators, health and community workers have been collaborating with people of all ages in regional Tasmania to make beautiful short films and animations about what true happiness means to them. With the support of Cygnet Community Arts Council, Kickstart Arts worked the Cygnet community to create short films about ‘what is true happiness for you’. 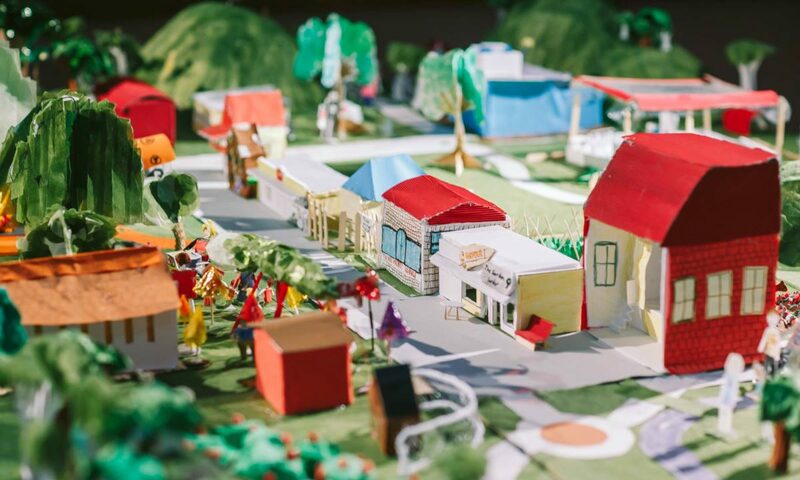 At Cygnet Primary School, students created a 3D map of Cygnet out of paper and cardboard. This map became the inspiration and location for short animations. You can view these short films and animations below.